Pink Phoenix Publishing recently opened its doors to submissions (genres: romance and erotica). Gay/lesbian apparently being a subset of the latter category only. 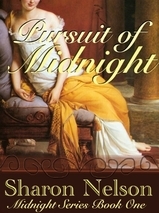 "Sharon Nelson decided to create Pink Phoenix Publishing after publishing her own book and discovering how much she enjoyed the publishing and promotion process." Because, that's all there is to it. Right? I will assume that with a royalty rate of 50% (gross? net?) they are an epublisher. This outfit seems to have formerly been Pink Phoenix Press (website, as of now, still up) but this earlier incarnation also involved Sue Owen. The debut book is not credited to PPP on Amazon and might have some issues. Two of the four reviewers note issues with poor editing. Publication of this book seems to be powered by Smashwords and Lulu.